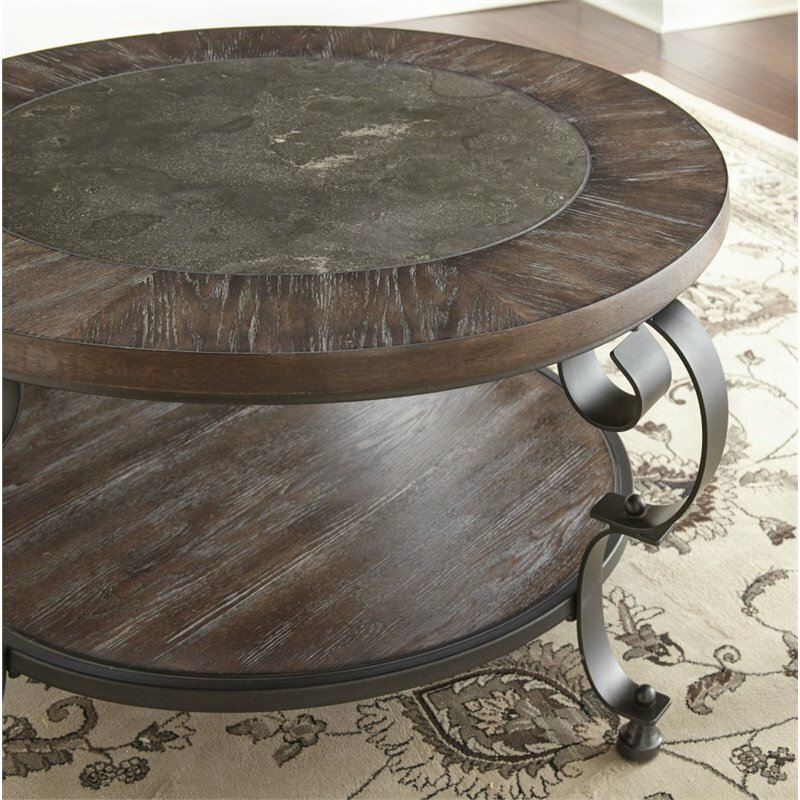 The Cocktail Table features a casual dark brown weathered finish with wire brushing and is highlighted by a beautiful bluestone top insert. A spacious lower shelf can be used for storage or display and features a decorative hand painted iron rim and scrolling iron legs with decorative finial accents. Also available for purchase separately is the end table. Your purchase includes one cocktail table.